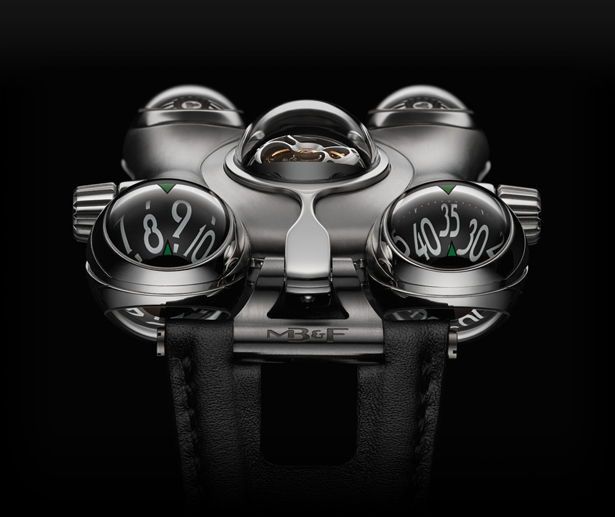 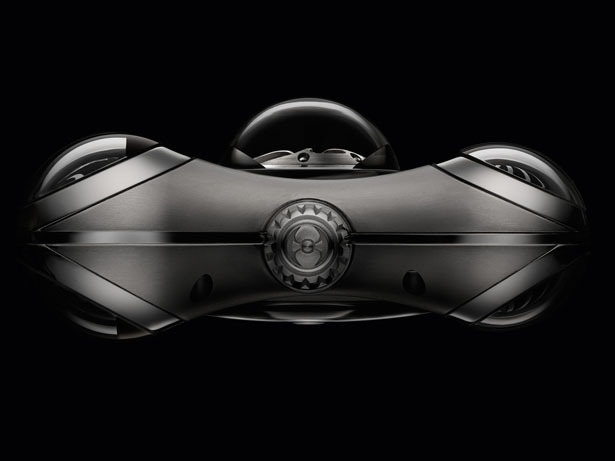 A futuristic MB&F Horological Machine HM6 Space Pirate Watch has been designed for filthy rich people, people who can afford space travel. 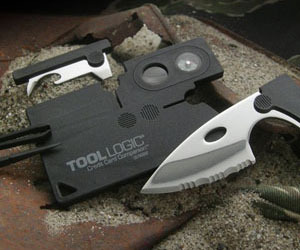 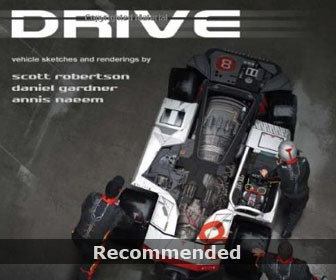 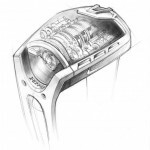 It is designed to operate in hostile environment space, making sure it works flawlessly in zero gravity. 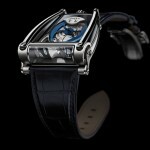 This limited edition watch features transparent sapphire crystal domes in each of the 4 corners of its biomorphic case. 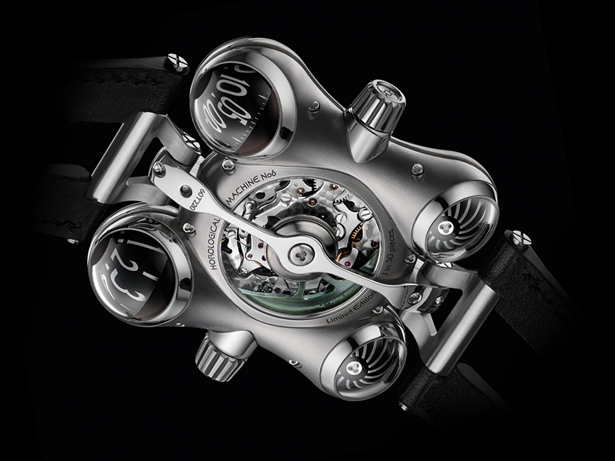 Up forward, 2 semi-spherical indications that rotate vertically to display hours and minutes while the bottom area there are automatic winding rotor, twin spherical turbines that spin horizontally to regulate winding system automatically in case of excessive speed in order to reduce stress and wear. 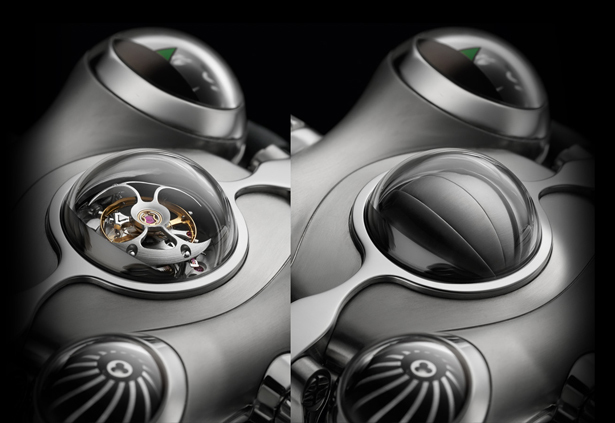 At the center, there’s a transparent dome that houses a 60-second flying tourbillon, the precision regulator of HM6 engine. 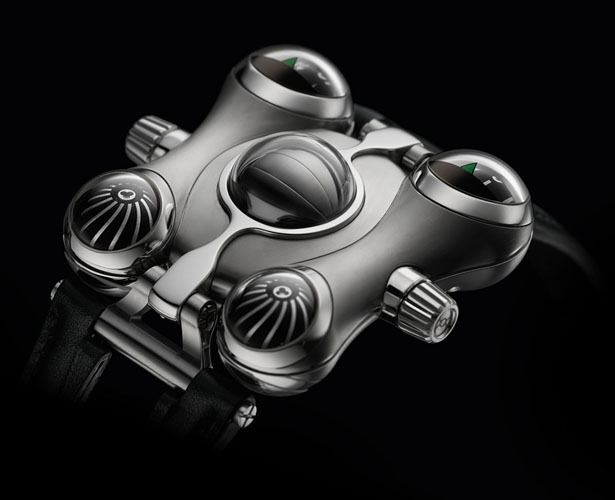 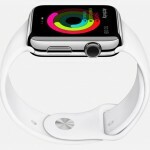 It is protected from UV radiation by a unique retractable shield operated by a crown on the left side of the case. 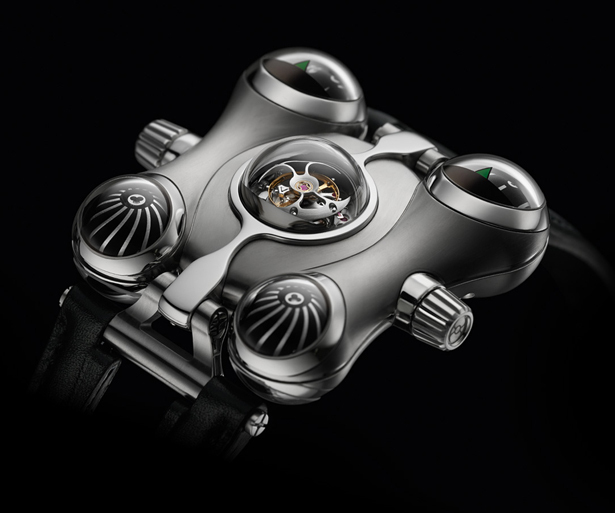 The transparent small dome on top of this watch provides you with amazing glimpse into the sophisticated engine below, with sapphire crystal display on the back allows you to watch in awe of 475 finely finished components make complex movement to display high precision time. 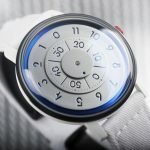 The gentle curve of Horological Machine HM6 Space Pirate along with its four bulging eyes make this watch look like a friendly extra-terrestrial life form housed inside aeronautic grade Ti-6Al-4V titanium case. 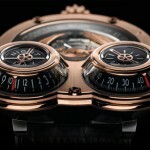 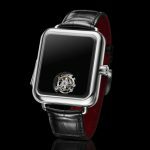 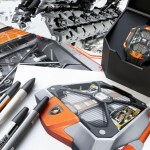 Available in only 100 pieces, each watch will cost you £150,000. 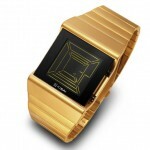 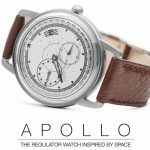 Tagged as futuristic watch, luxurious watch design, watch for space travel, watch with sapphire crystal display.